* Passwords must be between 6-12 characters and include at least 1 Capital letter with at least 2 numbers. 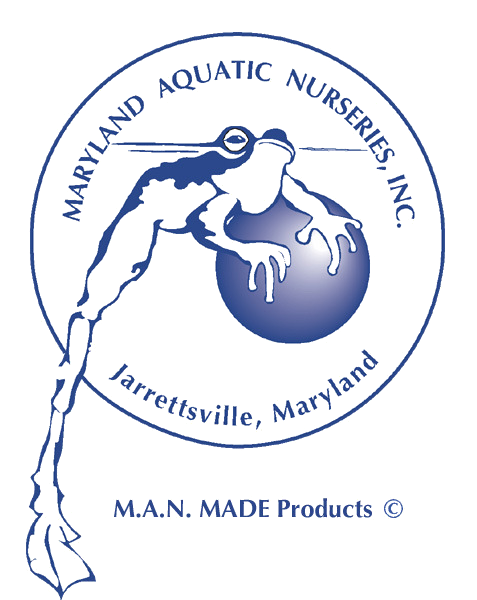 Founded in 1987, Maryland Aquatic Nurseries, Inc. (MAN) is a grower of wetland and ornamental aquatic plants as well as pre-planted erosion control blankets. Sizes range from plug trays to finished and custom grown material. MAN is well known for their product innovation and industry-wide contributions, manufacturing and distributing of pond related products developed by the company. Nearly all of the products showcased here are the owner’s creations. MAN holds a U.S. Patent on both the Floating Islands and Floating Wetlands. His 10% Solution philosophy changed the water garden industry standards. Coding and Site Construction © Copyright DPP, LLC. 2014 All Rights Reserved . sales@dpp.com © Copyright DPP.LLC. 2014 All Rights Reserved .